Hello. I'm a designer (graphic, digital, product), writer, conference speaker, and event director. 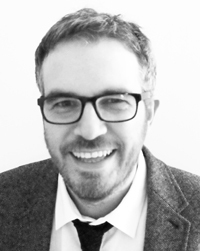 I have over twenty years experience leading design at companies such as Fictive Kin, Erskine, and Agenzia. Along the way I've assisted governments, banks, airlines, electronics companies, record labels, publishers, and charities. My eclectic client history includes Samsung, HSBC, The Libertines, and Frieze. I enjoy writing about pretty much anything. I wrote a bestseller about CSS when that was cool (so, long time ago), and I've contributed to numerous publications. I'm happiest when weaving sentences about design, tech, travel, the natural world, and speculative futures. 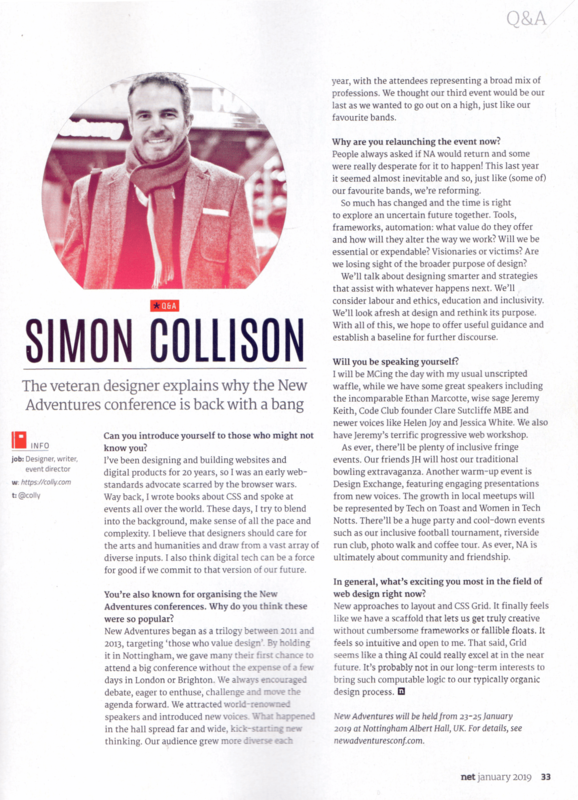 I've spoken at design events all over the world, and I'm director of the much-loved New Adventures conference series. I believe strongly that designers should care for the arts and humanities, and draw from a vast array of diverse inputs and experiences. I also think digital tools can be a force for good; that they have much to offer in connecting us to the beauty all around us. I live in Nottingham, but can often be found elsewhere. I'm married to illustrator Geri Coady, and owned by Bearface the cat.